Ladies, let’s go for unusual nail designs. Let’s check out marble nail designs! If you like challenges, this type of nail art design should give you some fun hours of nail art practice. Marble nails are as complicated as they look. Marble nail designs usually require you to pour lacquer onto water, make designs with a toothpick, and then dipping your nails in. 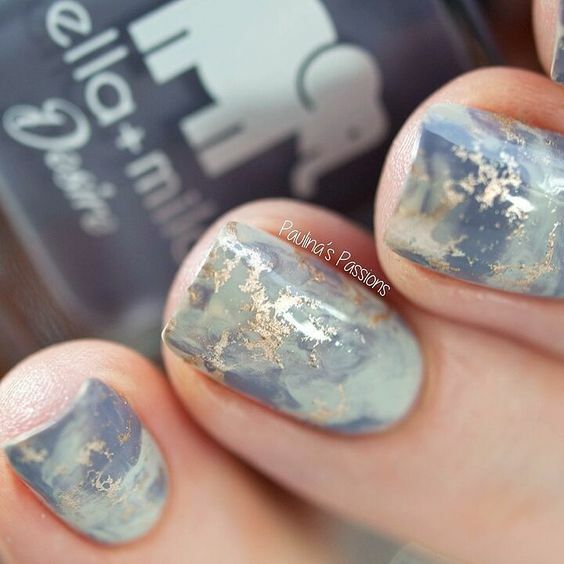 Another alternative method is to paint on thick layers of nail polish and then again, with the toothpick, create marbled designs. If you’re a beginner, you’ll likely end up with a mess rather than a beautiful piece of nail art. Veteran artists though are showing off their insane skill with this technique. Did you know? The hashtag #marblenails is so famous that there are thousands of results for this hashtag alone. This just shows that the #marblenails revolution is real.